I love sleeve tattoos. I love how people turn their arms and legs into a twisting and turning canvas dedicated to a theme. I’ve seen bits and pieces of Amy’s Star Trek tattoos before, but didn’t realize that they would end up as one large sleeve. 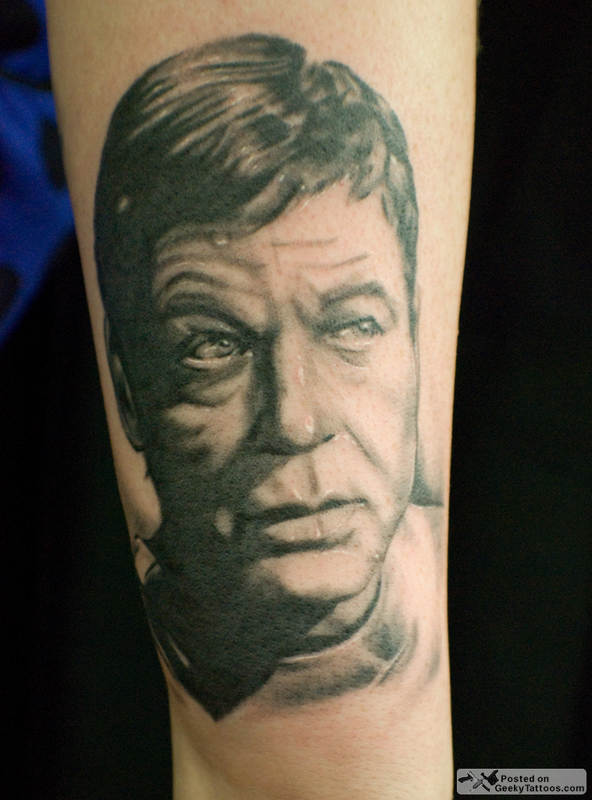 The work was done by Mez, an incredibly talented tattoo artist who is based out of San Francisco at Tattoo Boogaloo and is also a Star Trek fan. The portraits in this sleeve are wonderful! Portraits can be hard to do, and trust me I’ve seen my share of bad ones, but Mez is amazing at them as evidenced by her portfolio! 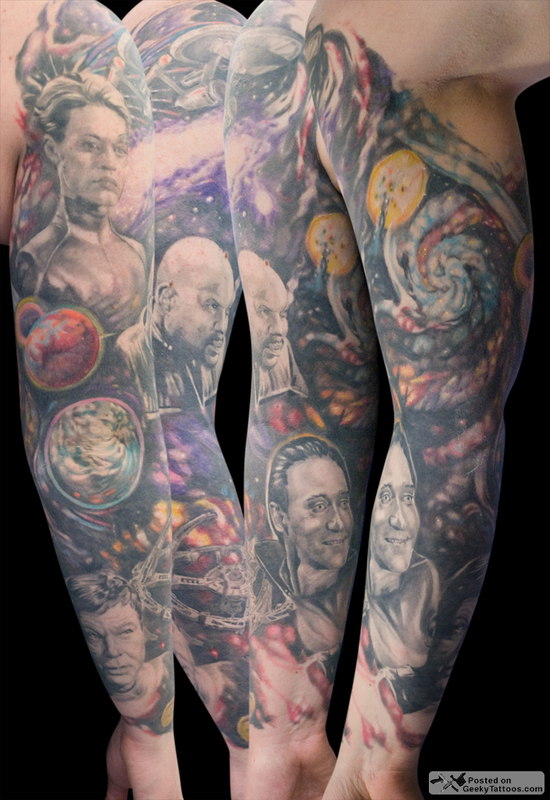 Tagged with arm, Bones, Capt Kirk, Data, Deep Space Nine, Mez, Seven of Nine, Sisko, sleeve, Tattoo Boogaloo.